Telluride Outside’s fly shop, Telluride Angler, is recognized as one of Colorado’s finest specialty fly shops. 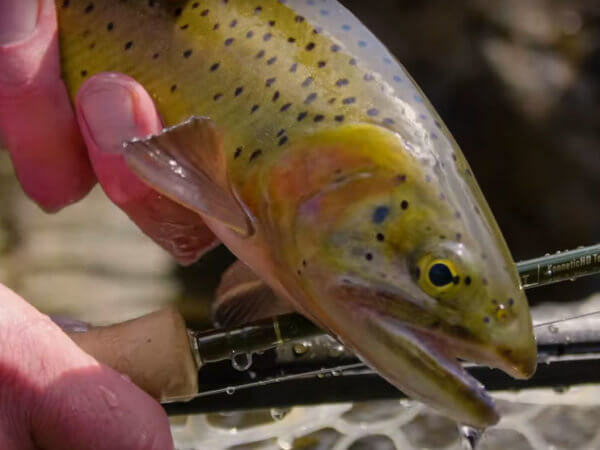 Our guide service is the fly fishing heartbeat of Southwest Colorado, an institution that has introduced thousands of people to this wonderful sport, offering an unmatched array of fly fishing destinations for daily trips based from Telluride. We are also dedicated global anglers, traveling to fish at every opportunity and hosting destination trips from the Bahamas and Christmas Island to Argentina and Russia. Each year, our customers come from all over the world to fly fish and ski in Telluride. The purpose of this store is to serve our customers throughout the year and to offer premium products to anglers around the world who may never visit Telluride but are nonetheless kinfolk of the river. Our greatest area of expertise is fly rod, reel and line selection. Our online store, tellurideangler.com, is oriented toward guiding anglers in their gear choices. We have a deep passion for the equipment used in our sport, tirelessly examining and testing the industry’s top quality rods and reels. Decades of experience have taught us that specific fly line pairings are critical to the performance of a fly rod. Changing the line fundamentally changes the behavior of the rod, so we attempt to provide fly line suggestions for our most popular rods throughout the product pages and review articles found on our site. We talk with hundreds of anglers every week and learn something from each one of them. In turn, our mission is to offer helpful reference points and guidance in suggesting fly rods, reels and lines for our customers, wherever they fish.